Maintaining your home’s gutters is the most important thing you can do to prevent water damage. Luckily, there are simple ways to make sure they stay in good shape. Your home’s gutters are designed for one purpose: to direct water away from your home’s foundation. If you want your gutters to do their job properly, they you need to do your part to keep them in good repair. Luckily, most common gutter problems are easy and inexpensive for homeowners to fix themselves. Here are five gutter problems you’re most likely to come across and some simple solutions to avoid hiring a gutter professional. This is the most common problem of all. Left untended, gutters and downspouts can get really clogged with leaves, twigs, and debris. The next thing you know, water backs up, spills over the side, and pools around the foundation of your home — exactly where you don’t want it. To prevent buildup, clean your gutters at least twice a year, with additional checks after big storms. You can clean your own gutters if you’re comfortable on a ladder, don’t mind getting wet and dirty, and don’t have an extremely tall house. 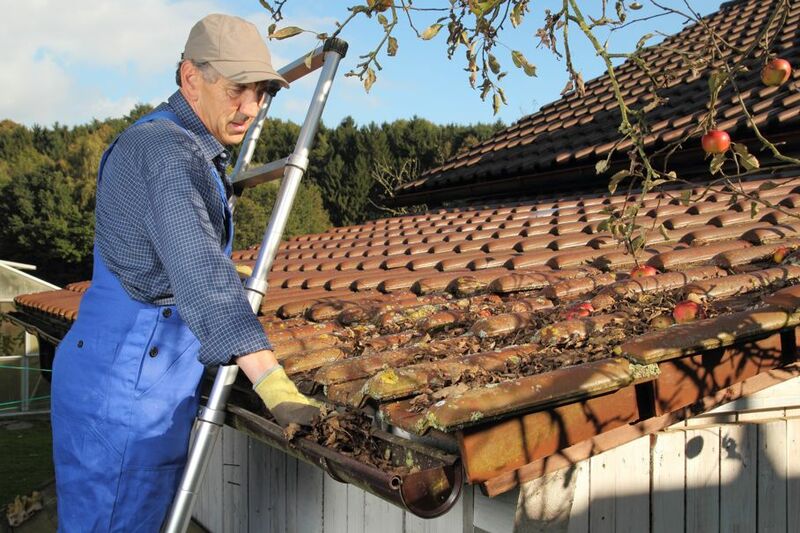 Simply climb up the ladder, dig out the muck using a small shovel or your hands (wear gloves), then use a hose to flush the gutters and ensure everything is running smoothly. If your gutters are sagging or pulling away from the roof, then check the hangers, the hardware that secures the gutters to your house. They might have become weak, gotten loose, or they’re simply spaced too far apart. It’s a cheap and easy fix. Hangers cost about $10 each at your local hardware store and can be attached with nails or screws. 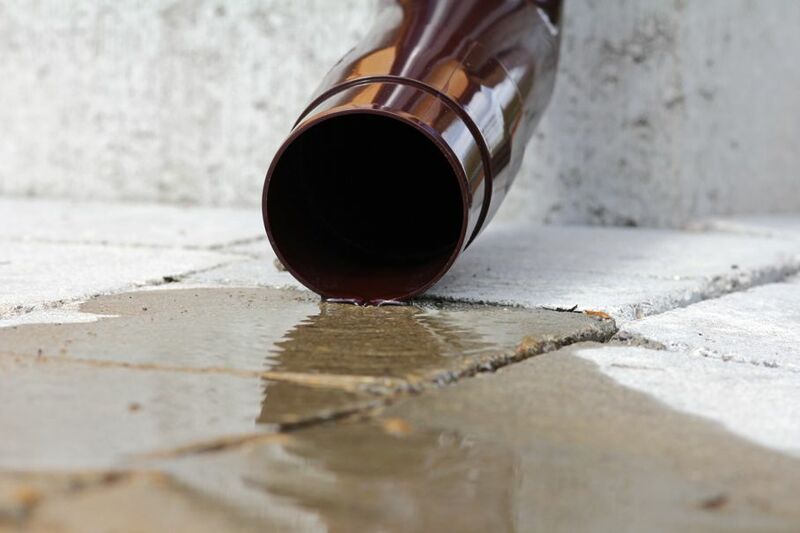 Sometimes your gutter will develop leaks, usually near the joints. First, make sure the gutters and downspouts are properly fitted into the joint. These areas are prone to misalignment over time. If that doesn’t fix the problem, then you can caulk the inside of the joint with gutter sealant. 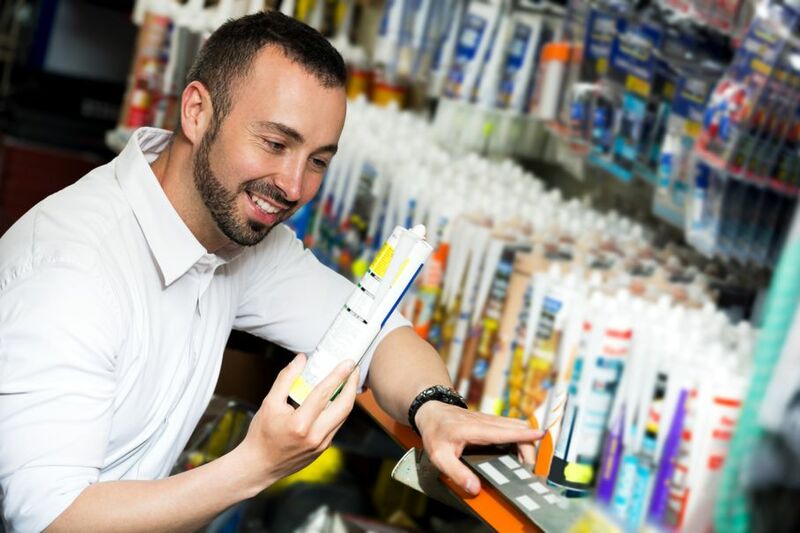 A tube of gutter sealant costs about $5. Small holes can be filled with gutter sealant as well. Downspouts need to extend several feet from your house, or you run the risk of water seeping into your home or damaging the foundation. You can pick up gutter extensions for less than $20 apiece and screw them onto your downspouts. It’s an easy and effective way to direct the water where you want it to go. Your gutters should be on a slight decline toward your downspouts — about a quarter-inch to 1 inch of descent for every 10 feet of roof. That descent is what’s known as the pitch. If you look in your gutters and see standing water, that means the pitch is off. There are a few ways to correct this. 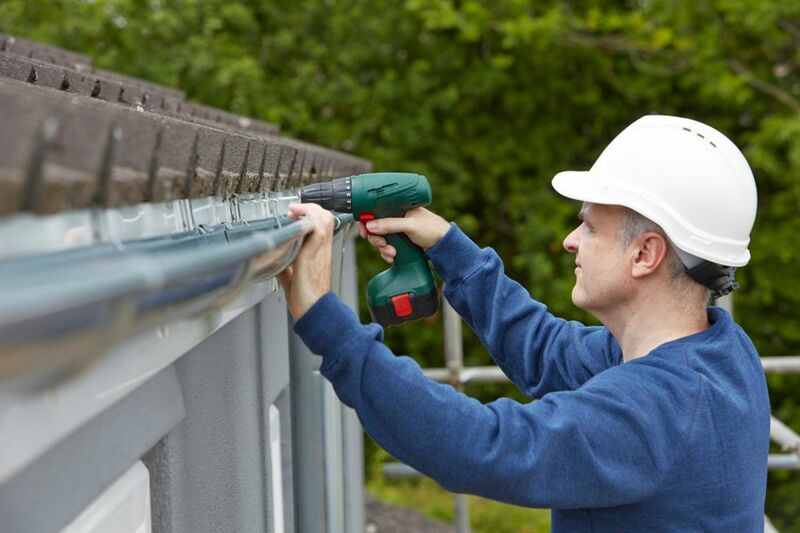 First, check with gutter for any sags or weakened areas. Replacing a few hangers may solve the problem. 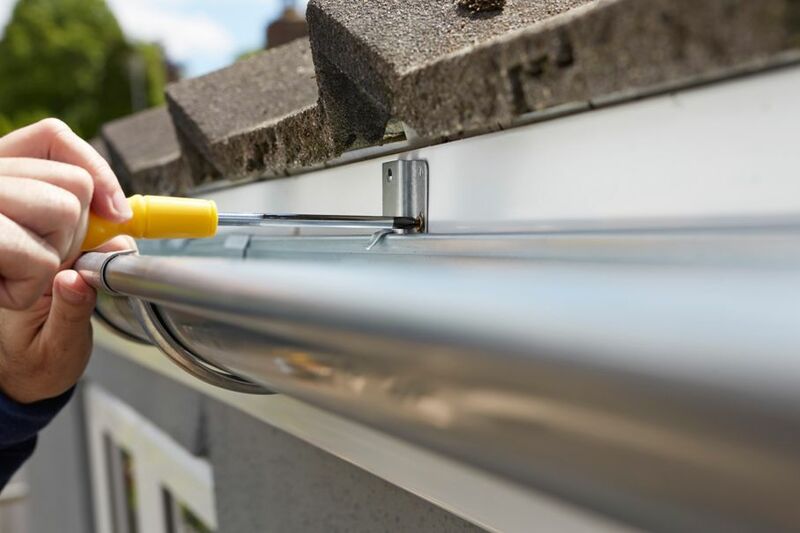 If the gutters seem to be in good shape, then you can bend the hangers by hand to increase or decrease the pitch in the appropriate areas. Your gutters are your first line of defense when it comes to protecting the structural integrity of your house. Routine inspection and maintenance goes a long way in preventing bigger problems in the future.